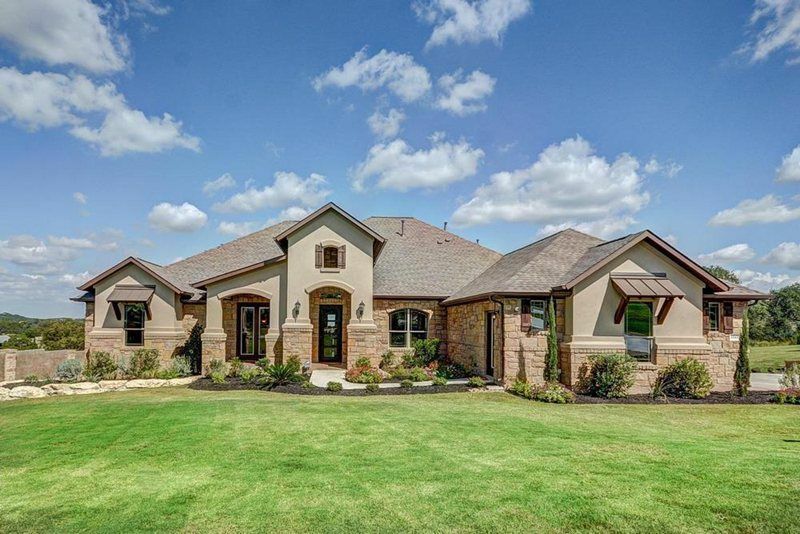 Rim Rock is a countryside community of custom homes in the charming town of Driftwood, just south of Austin. Our homes are a perfect nature hideaway with a mix of contemporary and hill country-style. Homeowners enjoy true Texas Hill Country comfort with spa suites, gourmet kitchens, fireplaces, hardwood floors, covered patios, and one acre plus homesites. Rim Rock homes are south of FM 1826 and County Road 162 intersection in Driftwood, part of Hays County and the 78619 zip code. Residents take advantage of easy access to Highway 290, Texas State Highway 45, and FM 967 for travel to Austin and the rest of the surrounding Hill Country. Rim Rock homes for sale are 9 miles from Seton Southwest Hospital and 3 miles from The Salt Lick Bar-B-Que. Rim Rock offers plenty of privacy, yet homeowners still benefit from a community feel with nearby amenities. Locals also appreciate a short three mile drive to a Texas staple, The Salt Lick Bar-B-Que. Come tour of beautiful model and move-in ready homes today and see why everyone is in love with Rim Rock.